A typical dryer filter only captures about 60% of the lint that is generated. The rest is pulled through the dryer exhaust system, and gets caught in the dryer vent. That is why it’s important to check the dryer vent system for buildup. The best way to check for buildup is through a qualified dryer vent cleaning company like Ablaze Technologies. Allowing these warning signs to go unnoticed can lead to a dryer vent related fire. The United States Consumer Safety Commission issued a special report describing fire hazards due to lint in clothes dryers. Approximately 15,000 fires a year are attributed to excessive lint in dryers and dryer vents. Dozens of deaths, injuries and millions of dollars of property damage result from these fires every year. How does this happen? 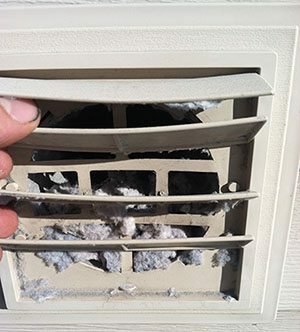 The simple fact is that lint builds up in the dryer and exhaust duct. This causes the dryer to overheat. Over time this overheating damages sensitive sensors in the dryer, causing them to fail. This failure can lead to a smoldering fire that can destroy homes and businesses. Clean dryer vents protect families and homes. 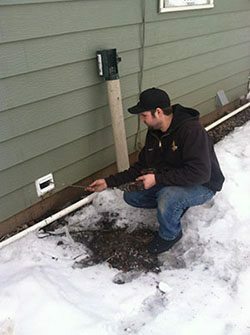 This professional service also significantly reduces heating costs. It extends the life of the dryer in the home. Plus, family clothing lasts longer and dries faster. If the dryer was recently replaced without a cleaned air vent it should be checked and cleaned for optimal performance. In the end, the health and safety of one’s family is most important. That’s why dryer vent cleaning is essential for proper home maintenance.